I’m not going to get into a lot of details about how to install and configure either http server from scratch. This article is primarily going to be food for thought for those who may want or need to configure nginx along side an existing apache (httpd) configuration. If you would rather ditch Apache all together, consider reading Martin Fjordvald’s Nginx Primer 2: From Apache to Nginx. In some cases you may need to run both Apache (httpd) and Nginx on port 80. Such a situation can be a server running Cpanel/Whm and as such doesn’t support nginx, so you wouldn’t want to mess with the apache configuration at all. To do this you have to make sure Apache and Nginx are bound to their own IP adddress, In the event of WHM/Cpanel based webserver, you can Release an IP to be used for Nginx in WHM. At this time I am not aware of a method of reserving an IP, and automatically forcing Apache to listen on a specific set of IPs in a control panel such as DirectAdmin or Plesk. But the link above will show you how with WHM/Cpanel. When you change Apache to listen on specific interfaces some VirtualHost may fail to load if they are listening on specific IPs themselves. The address option in <VirtualHost addr[:port] [addr[:port]] …> only applies when the main server is listening on all interfaces (or an alias of such). If you do not have an IP Listed in your <VirtualHost …> tag, then you do not need to worry bout this. Otherwise make sure to remove the addr:port from the VirtualHost tag. Make sure to update the NameVirtualHost directive in Apache for name-based virtual hosts. Once you have apache configured to listen on a specific set of IPs you can do the same with nginx. Now that both servers are bound to specific IPs, both can then be started up on port 80. From there you would simply point the IP of the domain to the server you wish to use. In the case of WHM/Cpanel you can either manually configure the DNS entry for the domain going to nginx in WHM, or you can use your own DNS such as with your registrar to point the domain to the specific IP. Using the latter may break your mail/ftp etc configurations if the DNS entries are not duplicated correctly. 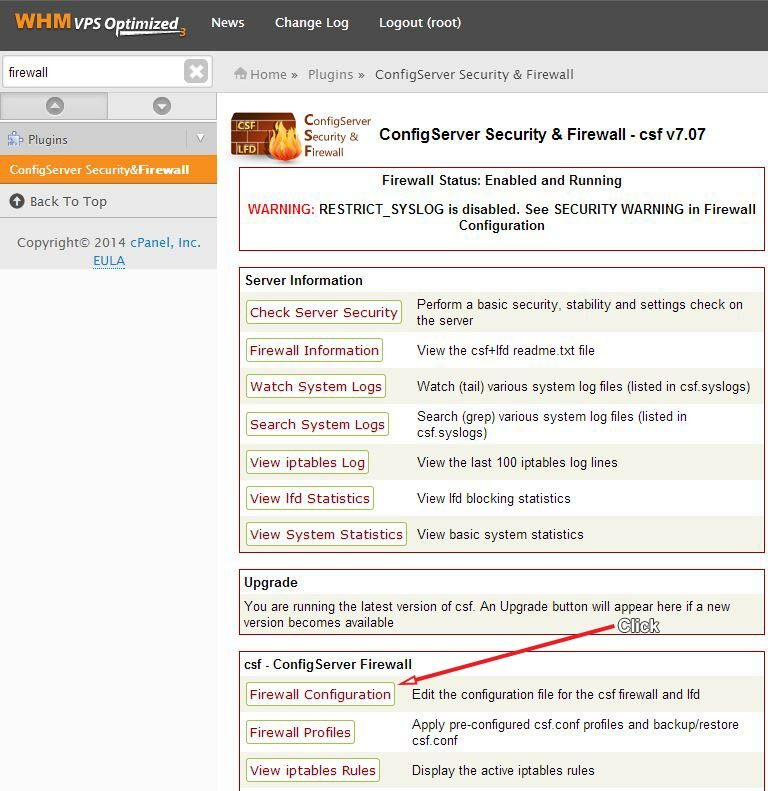 If you are using a control panel based hosting such as cpanel/whm, this method is not advised. Most of the servers configuration is handled automatically in those cases, and making manual changes will likely lead to problems (plus you won’t get support from the control panel makers or your hosting provider in most cases). Using Nginx as the primary frontend webserver can increase performance regardless if you choose to keep Apache running on the system. One of Nginx’s greatest advantage is how well it serves static content. It does so much more efficiently than Apache, and with very little cost to memory or processing. So placing Nginx in front will remove that burdern off Apache, leaving it to concentrate on dynamic request or special scenarios. This method is also popular for those who don’t want to use PHP via fastcgi, or install a separate php-fpm process. Above we bind Apache to the localhost on an alternate port, since only Nginx on the same machine will be communicating with Apache. The above would serve all static content from the same location, however PHP will simply come back as PHP source. For this we need to send any PHP requests back to Apache. With the above configuration, any file or folder that exists will be served by Nginx (the php block will catch files ending in .php), otherwise it will be passed back to apache on the backend. # to apache's own error page. Personally I prefer to leave Nginx to handle everything, and specify exactly what needs to be passed back to Apache. But the last configuration above would more accurately allow .htaccess to function during almost-every request since almost everything gets passed back to apache. The css folder or any files found by the other location block would be served directly by nginx regardless if there’s an .htaccess file there, since only Apache processes .ht* files. If you are not familiar with Nginx, then it should be noted that Nginx does not have a PHP module like apache’s mod_php, instead you either need to build PHP with FPM (ie: php-fpm/fastcgi), or you need to pass the request to something that can handle PHP. 1) Compile and Install PHP-FPM, thus running a seperate PHP process to be used by Nginx. This option is usually good if you want to keep the two webserver configurations separated from each other, that way any changes to one won’t affect the other. But of course it adds additional memory usage to the system. 2) Utilize Apache’s mod_php. This option is ideal when you will be passing data to apache as a backend. Even in a side-by-side scenario, you can utilize mod_php by proxying any php request to Apache’s IP. But in the side-by-side scenario you have to make sure that Apache is also configured to serve the same virtualhost that Nginx is requesting. Speed-wise both methods are about the same when PHP is configured with the same set of options on both. Which option you choose depends solely on your needs. Another article that may be of interest in relations to this one would be Nginx as a Proxy to your Blog, which can be just as easily utilized on a single server (especially if you get multiple IP ranges like I do). Nginx currently holds shy of 6.5% of the known webserver market, which is just roughly shy of 13 million servers. This little lightweight webserver created by a sole Russian developer has been gaining a great deal of popularity over the last few years and is used by sites such as WordPress, Texts from Last Night and Hulu. This guide will show you common examples in Nginx to make migration from Apache a bit easier. If you have been playing with nginx for a the first time you may have noticed that there is no .htaccess support. However Nginx can still utilize HTTP Basic Authenication with existing htpasswd files using the HTTP Auth Basic Module. The module is compiled by default. If you still have Apache installed (but perhaps turned off or on a different port) you can still use htpasswd to generate a password file. But in the event that you don’t have or don’t want to install Apache you can use Perl or Ruby to generate at least the encrypted passwords. The .htpasswd files should be in the following format. The two commands above will utilize a 56-bit DES encryption which can be used in the htpasswd file. Once you have your password file saved, store it outside of the web-accessible location like you would have when using Apache (likewise you can ensure that web access to hidden files are denied, more on that later). If the above did not work, check your error logs as sometimes it will notify you if the path to the password file could not be found. Sometimes you may wish to omit commonly accessed files from being recorded in the access log as well as block access to hidden files (filenames beginning with a period such as .htpasswd and .htaccess). Even though nginx doesn’t support htaccess, you may still wish to secure files left behind from the migration. You can easily do this by adding a couple location blocks to your domain’s server block. The above will not record access to the favicon.ico or robots.txt in the root of your site, as well as ignore the file-not-found error if you do not have either file present. Also the last line will deny access to any file beginning with a period anywhere within the root path. You can actually save the above into a file such as /conf/drop.conf, and include it at the bottom of each of your server blocks like so. Most people now days take advantage of WordPress’ permalink feature which normally requires mod_rewrite enabled in the .htaccess file. However as of Nginx 0.7.26 and above this can be taken care of very easily with a single directive. # Additional rewrite rules or such you need here. For Nginx versions older than 0.7.26 you can use the older method shown below (however its strongly advised to have 0.7.26 or newer). The two if blocks replace the common RewriteCond used by wordpress to test if the requested filename is an existing file or folder. On the next page: Utilizing WP Super Cache, rewrite examples and more. Subdomains can be a very handy way to make your urls more friendly looking. They can also be incredibly useful for membership driven websites to allow members to have their own custom subdomain. But how do make manage dynamic subdomains with PHP? There is two parts to making dynamic subdomains work in this case. The first is updating your DNS and webserver to expect wildcard requests. On the DNS side its a simple matter of adding * as an ‘A’ record, or cname pointing to the primary domain or IP. In most cases if you are using shared hosting, you’ll need to contact your hosting provider to enable wildcard DNS on your account. Otherwise if you are on a dedicated server or virtual private server, this can be most likely handled by yourself, such as editing the DNS zone in WHM. Once you have enabled wildcard DNS, you’ll need to configure your webserver to expect a *.domain.com request. Otherwise it will ignore all requests other than the base domain and pre-defined subdomains. In Apache you would add a ServerAlias directive to the appropriate virtual host entry. On most Cpanel driven servers the http.conf file for Apache can be found in /usr/local/apache/conf. Once you have configured both the name server and web server for wildcard requests you can now use php to not only detect the provide subdomain, but also generate them. The code below will obtain the subdomain being visited. The above will simply take the hostname stored in the HTTP_HOST enviroment variable, and attempt to replace the base domain with nothing (if no subdomain was provided all that remains is the base domain). Once the subdomain is determined, you can filter out requests either with an if/then block or in a switch/case statement. In the event of using memeber names as subdomains you can use a switch statement to make sure that the subdomain doesn’t match the homepage (www / yourdomain.com) or a reserved page name such as register.yourdomain.com and assume anything else must be a member name. With that information you can pull the members information from a file or database. Using PHP to handle the subdomain is certainly easier for most novice as opposed to modifying an htaccess to do rewrite rules passing the subdomain off as a query (which takes more resources than str_replace) or having to modify the webservers configuration file, especially if you do not have direct access to the webserver’s configuration file or do not have override permission. If your current hosting provider does not support wildcard subdomain, and you are running a memeber based site, consider upgrading to a Virtual Private Server or use a shared hosting provider such as HostGator that allows you to turn on such capability via a support ticket. You are currently browsing the archives for the Apache category.